One of Singapore’s oldest fintech firms, e-payments startup Mobile Credit Payment (MC Payment), is set to be acquired for at least S$80 million (US$59 million) by Artivision Technologies, the two companies announced today. The deal, which was laid out in a conditional and non-binding HOA (heads of agreement), will also see the SGX-listed Artivision buy out MC Payment’s convertible bonds, which consist of Series B bonds and Series C bonds with an aggregate principal value of S$5.5 million (US$4.04 million). Artivision will discuss with the bondholders about converting their bonds into shares. Artivision will also offer an additional sum of money based on MC Payment’s current fundraising activities, which will be undertaken on a pre-money valuation of S$64 million (US$47 million). In an official press release, MC Payment’s extensive experience in the fintech sector and its proposal to the government to build a national cashless payments system were cited as key reasons for the acquisition deal. “Over the years, we have remained focused in our aim to build a cashless society and our vision to be the region’s foremost omni-channel and omni-payment solutions provider. The result is the establishment of a scalable infrastructure which transcends borders and payment systems in the APAC region,” said MC Payment CEO and Founder Anthony Koh, in an official press statement. Artivision was founded in 2004, and it provides video advertising and video security solutions. It was listed on the SGX’ Catalist board in 2008. Buying out MC Payments will allow it to diversify into Singapore’s burgeoning fintech sector. 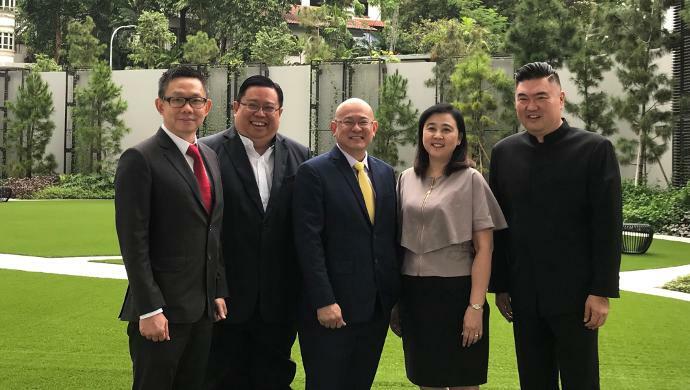 “The expansion into the fintech business aims to breathe new life into the company as we reposition ourselves for long-term growth,” said Kenneth Goh, Executive Director and CEO of Artivision, in an official press release. If the acquisition is successful, it will result in a Reverse Takeover (RTO) of Artivision, making MC Payment the first fintech company to be listed on the SGX. Last year, e27 reported that UK- and Germany-based online social trading platform ayondo was eyeing a listing on the SGX, but DealStreetAsia reported that the deal did not pan out. Thus, the spot for the first SGX-listed fintech firm is still up for grabs — and MC Payment could be a strong contender. MC Payment was founded in 2005. The company currently has a presence in four countries in Asia including Singapore, Hong Kong, Malaysia, and Indonesia. MC Payment’s infrastructure supports a range of verticals including B2B logistics, transport providers, insurance, non-profit, F&B, retail and many more. Its clientele includes major e-commerce portal Qoo10, Singapore’s first vending machine cafe Vendcafe, global logistics firm DHL, and non-profits such as Hair for Hope and Mercy Relief. Examples of its solutions include MatchCab, a B2c solution that helps taxi companies to implement e-payment functions; and Xaavan, a B2B platform which helps large purchasers conduct transactions with suppliers seamlessly through an integrated payments platform. To date, it has partnered with leading payment services First Data, Global Payments, NETS, MEPS, Visa, and MasterCard. MC Payment’s investors include Thailand investment firm 2W Group, PE firms ESW Manage and Golden Equator Capital, as well as private investment firm DZW Capital. Earlier this year, MC Payment took a controlling stake in Singapore-based Alipay enabler Genesis Payment Solutions (Genesis). The post E-payments startup MC Payment may become the first SGX-listed fintech firm via an acquisition appeared first on e27.